From 18 June 1961 to 13 November 1965, Our Lady appeared to four young girls in Garabandal, Spain. These apparitions in Garabandal have neither the approval nor disapproval of the Church. Belonging to the third category of classifying alleged apparitions, it is presently judged “non-constat de supernaturalitate” – it is not certain that the events are of supernatural origin. With this still uncertain stand, it is therefore up to the reader to discern and judge the authenticity or non-authenticity of the divine messages. So, what exactly were Our Lady’s messages in Garabandal? The Garabandal messages consist of three components: a Warning from God, a Miracle, and a Chastisement, if men do not convert as a result of the Warning and the Miracle. For this article, let me focus on the Warning since it is the first phenomenon which is supposed to happen. The Warning will be like a revelation of our sins. It will be experienced by believers and non-believers and by people of all religions. The most important thing about that day is that everyone in the whole world will see a sign, a grace or a punishment within themselves – in other words, a warning. They will find themselves all alone in the world no matter where they are at the time, alone with their conscience right before God. They will then see all their sins and what their sins have caused. It’s a phenomenon which will be seen and felt in all the world; I have always given as an example that of two stars that collide. This phenomenon will not cause physical harm but it will horrify us, because at that very moment, we will see our souls and the harm we have done. …There will come a day when you will see two stars clashing in the sky and the letter “A” at the side of them. This phenomenon will fill men with horror and will be seen and felt all over the world… Each one of you will receive a sign, a grace or a punishment, which is called a warning. At that moment all of you will sense you are alone. Wherever you may be, you will feel “Alone” with your conscience. God alone will be before you. Each of you will see your own sins and each of you will necessarily react in a different manner. This will depend on your conscience. What is important is that you recognize your own sins and their evil consequences. You will experience an interior sentiment of sorrow and pain for having offended God… You will feel no physical pain and unless you have a stroke, you will not die because of the event… I tell you, at that moment everything will stop, and the human race will come back to itself and will examine itself interiorly. There will reign a great silence and emptiness. …Thus, I invite you in earnest to give yourself to prayer, to penance, to fasting and to the recitation of the Rosary. 1961, Garabandal. 1990, Avola. We are in the year 2013 – some 50 years have passed since the Warning was revealed in Garabandal. It would have been forgotten by this time except for the “Book of Truth,” alleged messages of the Lord Jesus to an Irish visionary who is known as Maria Divine Mercy. The messages have spread fast around the world through the internet (www.thewarningsecondcoming.com). It has gained followers, as well as harsh critics. • The Warning is one of the events leading up to His Second Coming. • Much prayer is needed before, during, and after the Warning. 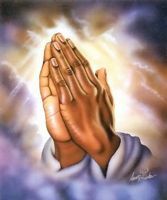 Prayers are needed before so that many are prepared to ask for forgiveness and mercy when the time comes. Much prayer is also needed after so that those who repent do not go back to their previous ways. • Before the Warning takes place, stars will clash. As these comets infuse, a great red sky will ensue and the Sign of the Cross will be seen all over the world. • The Lord repeatedly says the time for the Warning is close and He pleads for prayers so that many will be saved. He asks for the recitation of the Divine Mercy Chaplet, the Rosary, visits to the Adoration Chapel, fasting once a week, frequent Holy Mass, and the formation of crusade prayer groups. He also emphasizes we should not be fearful but should await this with joyful hearts for it is a great gift to humanity. Is this found in other revelations? For the skeptics who are wary of private revelations, there is a reference to a phenomenon akin to the Warning which is found in a source (also a private revelation however) difficult to shrug off: the Diary of St. Maria Faustina Kowalska, the apostle of Divine Mercy. Unknown to many, the devotion to the Divine Mercy in its various forms (the 3 o’clock Prayer, the Chaplet, the Feast of Divine Mercy) was given by the Lord Jesus as a preparation for the end times. There is a passage from the Bible describing an event which makes you wonder if it is the Warning. In Matthew 24:29-30, the Lord describes the signs immediately preceding His Second Coming. My dearly beloved daughter, time is near. The Warning is close now. It is with great sorrow that I must tell you that many souls will not heed these messages about the Warning. My Word falls on deaf ears. Why won’t they listen? I am not only giving them My great gift of Mercy when I will shower My graces over the whole world; I am also trying to prepare them for this event. Many millions of sinners will rejoice when they are shown My great Mercy. Others won’t get a chance to redeem themselves in time because they will die of shock. My daughter you must do everything you can to warn the world because this great event will shock everyone. They will see great signs in the skies before The Warning takes place. Stars will clash with such impact that man will confuse the spectacle they see in the sky as being catastrophic. As these comets infuse, a great red sky will result, and the Sign of My Cross will be seen all over the world, by everyone. But I say rejoice for you will see, for the first time in your lives, a truly Divine Sign that represents great news for sinners everywhere. See My Cross then and you will know that My Great Mercy is being given to each of you, My precious children. For it was with the deep abiding love that I held for you that I died, willingly, on the Cross to save you. When you see the crosses in the sky during the Warning you will know that this is a Sign of My Love for you. Pray My beloved followers that your brothers and sisters can rejoice when they, too, are shown the proof of My existence. Pray that they will accept that this is their chance to redeem themselves in My eyes. That this great act of Mercy will save their souls if they will allow Me to help them. The Warning will be a purifying experience for all of you. It may be unpleasant in part especially for those in grave sin. Because for the first time ever, you will be shown what it feels like when the Light of God disappears from your life… Prepare now for this great event. Save your souls while you can. For it will only be when the Light of God leaves you that you will finally realise the empty, barren darkness that Satan offers which is full of anguish and terror. Replenish your souls. Rejoice now for the Warning will save you and bring you closer to My Sacred Heart. Mercy? Why would the devil ask for the recitation of the Rosary, penance, fasting? 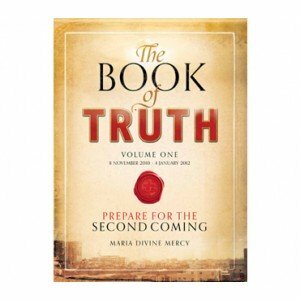 In the “Book of Truth,” Jesus repeatedly asks for the saying of the Chaplet of Divine Mercy. As for me I have pondered and prayed long over this. Ultimately, I exclaimed to myself: woe unto me if I am an obstacle to the propagation of God’s messages. I should give people the opportunity to discern for themselves if these messages are truly divine. Several times in the Bible, the Lord Jesus blessed those who have simple hearts and minds, those who are like children in their docility and trust. I would rather strive to be childlike. If I look up to the sky and wait for the Sign of the Cross and none appears as yet, I will end up sighing, “Jesus, King of Mercy, I trust in You.” If I live to the day when I see the Cross in the sky which Jesus says is a proof of His great and abiding love for us, oh how joyful I would be, especially in the realization that I have helped the Lord spread His messages. Instead of burying my head in the ground with cowardice or staying in my comfort zone, I have stood bravely for Him, risking many things. Indeed, it is a perennial challenge to serve the Lord in faith, in abandonment, and in hope. Click here to return from The Warning to Second Coming.